Prior to joining Washington Fine Properties in October of 2017, Pat worked for over 20 years at Evers & Company Real Estate. Pat says the most satisfying part of her job is finding just the right home for her clients. She believes it is important to leave no stone unturned in serving their interests and needs. Her buyers appreciate the level of diligence, devotion and enthusiasm she brings to her work. Pat holds a Certified Buyers Representative designation, training which she says has enhanced her focus on being able to represent the best interest of her clients. She applies the same diligence and focus to listings. Her philosophy is that each home needs to be presented to showcase its best features, priced correctly and marketed to its best advantage. Pat says, �Careful presentation and pricing require a good collaborative effort between the sellers and myself; the marketing is my job.� She has an extensive and flexible program of marketing techniques, which she customizes for each separate listing. And it works! Since her first year as an agent over 20 years ago when she won the Rookie of the Year award, she has received numerous awards from the Washington, DC, Association of Realtors recognizing her high level of sales. This past year she received Washingtonian Magazine�s coveted �Best of 2017� realtor award. Pat received her BA degree from The American University and an M Ed in Foreign Language Education from the University of Maryland. She is fluent in Spanish, having been born and lived many years in Argentina, and has taught in the Maryland public school system. Pat resides with her husband Ken in a house they designed and had built for their family in Bethesda. She was active in both the Whitman High and Carderock Elementary PTAs. For the past seven years you can find her volunteering every week at Bethesda Cares, a drop-in day shelter which helps place people living unsheltered into permanent supportive housing, help ease life for those on the street and help lower-income tenants to avoid eviction. Pat has listed and sold properties all over the region from Potomac, to Chevy Chase, Bethesda, Wesley Heights, DC, Roslyn, Arlington and McLean and most places in between. She believes her interest and experience in construction and design as well as the positive feedback she gets from buyers and sellers energize her and enhance her otherwise naturally positive approach and enthusiasm for her work and life in general. The result? The very best in real estate. As part of her commitment to give back to the community, Pat contributes 15% of her net commission to the Alzheimer's Association. If you are looking to sell a high-quality home in the DC area, you will want to engage the services of Pat Lore. My elderly parents-in-law recently engaged Pat to sell their Kenwood home. She did exhaustive research, recommended spot-on improvements, established the perfect price point, and provided effective staging services. The home sold quickly�within weeks. Moreover, Pat went above and beyond expectations for even the most dedicated agent. She personally looked after every detail of their move, from returning a left-behind cable box to coordinating a piano sale to partnering with an auction house to marking more than 100 art works of all shapes and sizes for an out-of-state move. She then managed a complex packing process on-site, ensuring the right items were packed and delivered. Pat has our highest recommendation for her professionalism and tireless work. Her focus on her individual clients� needs and willingness to spend the time and effort necessary to guarantee a successful experience cannot be overstated. Pat recently sold my town home in Potomac. From staging to photography to marketing the property, she is the ultimate professional. Pat clearly knows the Washington, DC, area real estate market well and knows how to attract buyers. I was going through a particularly rough time personally when the house sold. Pat took charge and made everything run smoothly from contract to settlement. Pat Lore helped us with the purchase of our first home. She showed us houses in many different areas to help us hone in on the neighborhood that was right for us. She assisted us with getting all of our paperwork and financing in order ahead of time so that we could present strong and timely offers when opportunities arose. When the perfect house came on the market, we were able to act quickly. Pat helped us to create a winning offer, beating out multiple competing offers. During the negotiations with the seller, Pat gave us great advice to make sure we got the best deal possible. We absolutely love our new house and feel like we got a great deal. 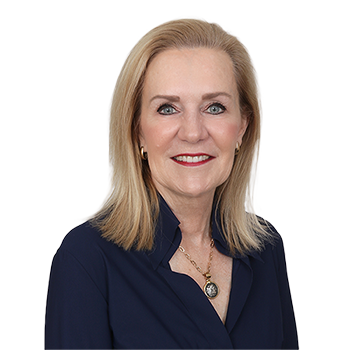 We are very pleased with Pat�s representation of us and would highly recommend her to anyone in need of a savvy real estate agent. Pat has been or go-to agent for the purchase of two homes and the sale of one. Professional, patient, and a pleasure to work with, Pat helped us find our house at a pace that fit our schedule. The combination of her excellent knowledge of the market and her personal style allowed her to quickly understand the kind of home we were looking for and efficiently work with us to find it. She is terrific! As first-time home buyers, we needed a lot of guidance throughout the process. There were many unknowns that made us nervous in the beginning. Plat Lore�s experience was evident as she walked us through the process, and gave us extremely helpful advice. She was patient and supportive and showed us tons of different options within our budget. When the time came to make an offer, we felt confident and assured. Not only did Pat make the process easy, she made it fun. Pat helped us to find our first home, and she helped us sell it twelve years later. She took care of a thousand details to get our house ready to put on the market, and timed the listing perfectly. She was always willing to talk and answer our many questions. We knew we were in great hands, and we were very happy with the whole experience. I have know Pat Lore professionally for 30 years. She has been my only real estate agent for the purchase of two homes and the sale of one home. I have happily referred her to other people. Pat is a diligent, disciplined, honest, and very capable person and agent. I would very highly recommend her to anyone looking to buy or sell a home.